I’m not here to persuade you to change your mind about what iPad to pre-order, instead I’d rather talk you through my decision making process. 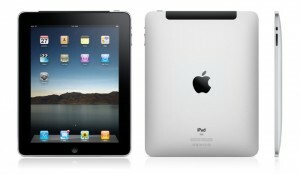 I chose to pre-order the 64GB Wi-Fi + 3G iPad. Why 64GB? In short it’s because of future proofing. I’ve bought a slew of gadgets and computers in my time and there is one thing that always needs upgrading before everything else, storage. My first generation 8GB iPhone made it two years but not without having to make decisions about what apps, music, TV shows, and movies I wanted to take with me. Luckily the decision wasn’t too difficult but since I’ve upgraded to a 32GB iPhone 3GS my music library alone has nearly tripled in size. Just last year I was fine with 8GB of storage — I even made it up until about 6 months ago without breaking the 8GB barrier on my iPhone — but as of this writing I only have about 16GB of free storage on my iPhone. My iPhone is the best comparison I have for what the storage situation is going to be like on the iPad, but clearly there are different use cases that I have to account for. I don’t watch a lot of TV shows and movies on my iPhone but I expect to watch quite a bit on the iPad. I can just see myself propping it up next to my iMac so I can watch the latest episode of Lost while I’m trying to get some work done. I also expect to keep more applications installed on my iPad at any given time. I only have 13 applications installed on my iPhone but that number will likely double on my iPad. And, all those apps designed specifically for the iPad will take up more space as well. More pixels means more megabytes, especially in games. 64GB is my best bet at keeping myself from feeling storage claustrophobia over the next few years. So, why 3G? The odd part about this decision is that I’m not 100% certain that I’ll ever use the 3G data connection. A few times a year I travel to Pittsburgh to visit family and knowing that the iPads 3G connection is around will give me peace of mind. I already have my iPhone but the flexibility is what really drew me towards it. Yes, $100 more is a lot of money but I’d rather have it and never use it then not have it and realize in 6 months that I wish I had did. Remember, there’s no way to upgrade to 3G without buying a whole new iPad. The 3G model is also the only model with GPS built in. Back when I was using my first generation iPhone I didn’t think I would really use GPS, but I’m surprised at how often it makes things easier for me. Google Maps on this thing is going to be amazing. The most disappointing thing about pre-ordering the 3G model is the extra wait time. The Wi-Fi only version ships on April 3, but all of us who decided to get the 3G model are going to have to wait until “late April” to get theirs. But, regardless of when my iPad ships, I’m truly excited and happy to be getting my hands on one. And, without a doubt, I’ll be on Twitter, Flickr, and all the popular Apple weblogs to see everyone’s reaction to the iPad when it ships on April 3. There has been rumors of an Apple tablet for years, and we’re just 22 days away from it actually shipping.